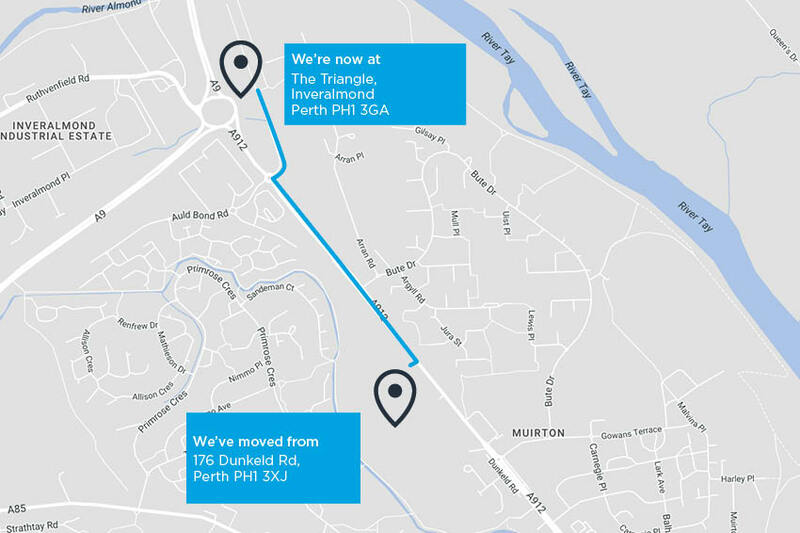 Our Perth Motorstore and Perth Fiat/Abarth branches are relocating to a new site at The Triangle, Perth. Here’s everything you need to know. Details about our new branch at The Triangle, Perth. 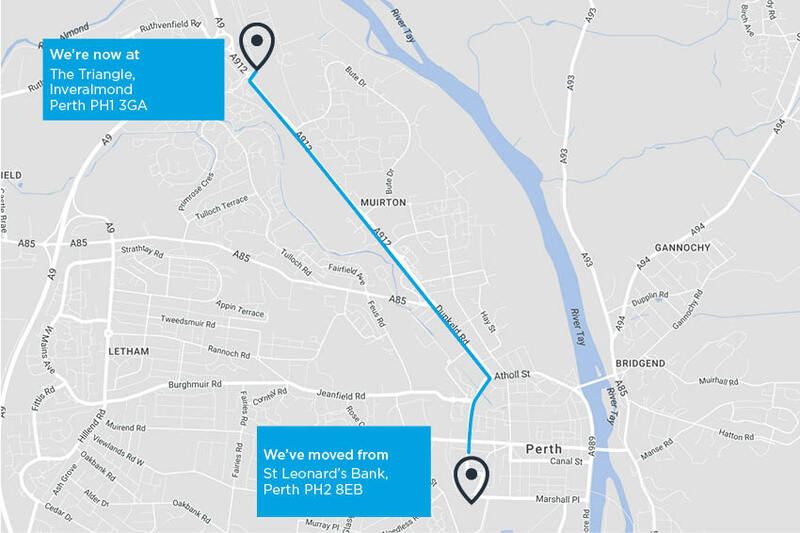 Our Perth Motorstore and Perth Fiat/Abarth branches are moving from their former locations at Dunkeld Road and St Leonard’s Bank to a shiny new branch. The new site will cover an area of up to 5.5 acres. The showroom will feature a sales area, reception, office space, consultation area and customer waiting space with complimentary Wi-Fi, hot drinks and a kids’ play area, to keep the children occupied. We look forward to welcoming you to our new branch. How far is the new branch from the original locations? Your brand-new branch is just a few minutes’ drive from our original locations. Take the left at the first roundabout for the Triangle and follow the road. Your new Arnold Clark branch is on your left. What services are available at the new branch? Will staff from the original branches be moving too? Yes, you’ll find the same faces and get the same warm welcome you have come to expect from our staff at the previous locations. What are the new opening times? Our new branch will be open from 9am to 8pm weekdays, 9am to 6pm Saturday and 11am to 6pm Sunday. You can search our branch stock and book your test drive online, or call the branch on 01738 506600. You can book your car’s service or MOT online, or you can call the service department on 01738 506600. How do I arrange car or van rental? You can book your rental online, or contact our Car & Van Rental team on 01738 230600. Yes, there’s plenty of room for you to park while you browse our stock or wait for your car to be fixed at our Servicing & Repairs department. What cars do you stock? We stock a wide range of new and nearly new Fiat and Abarth models. We also have lots of used cars in stock too. 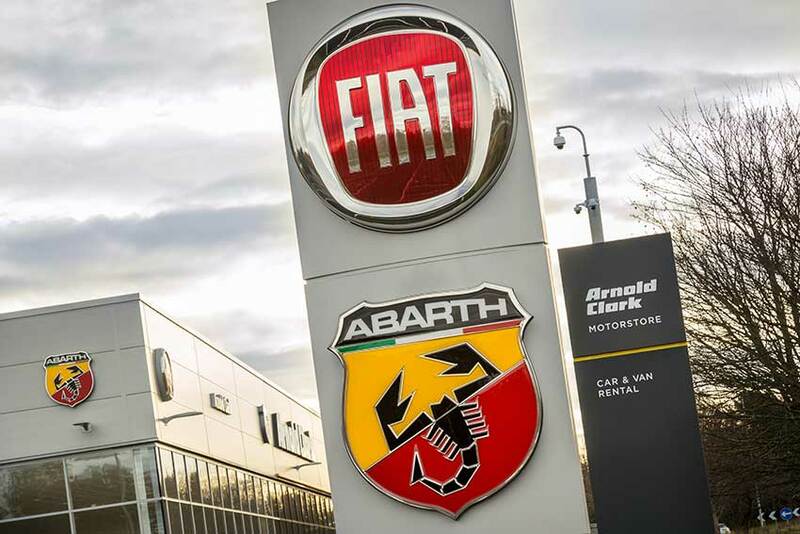 Do you only service Fiat and Abarth cars? No, we offer servicing for all makes and models. What type of servicing is on offer? Whether you want to protect your warranty with a manufacturer service, or keep an older car in tip-top condition with our Value Range servicing, we have plenty of options to suit you. Yes, we have a wide range of tyres to suit all budgets in stock.